With an abundance of fresh raspberries and a crunchy crumb topping this is a cake everyone will remember. Not too sweet and full of fresh berries it is just the type of dessert I enjoy most. 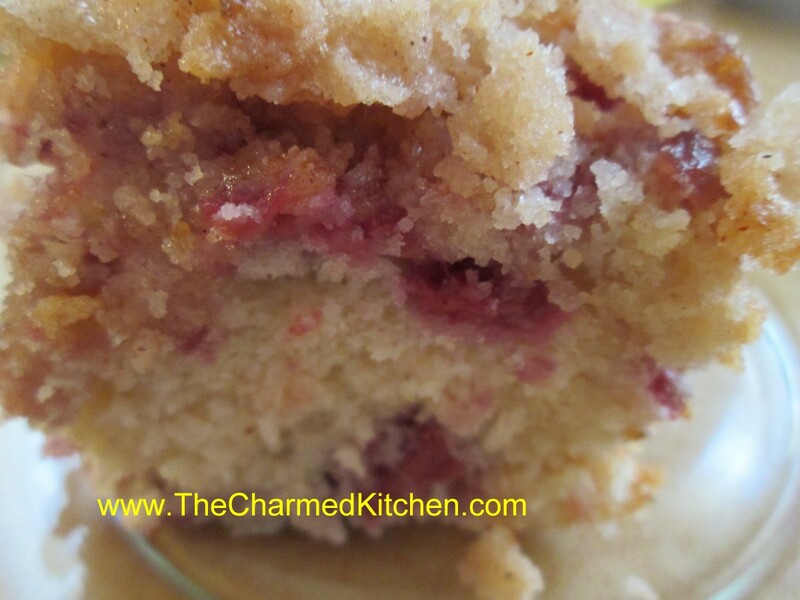 When you add 2 cups of raspberries to the batter it might seem like too much. It is not. You want to be able to see and taste the berries in every bite. Combine dry ingredients and set aside. In mixing bowl with electric mixer, beat butter and sugar until light and fluffy. Beat in egg, sour cream and vanilla. Add flour mixture gradually until just mixed in. Fold in raspberries. Grease and flour an 8 or 9-inch pan and add prepared batter. Combine topping ingredients until they resemble coarse crumbs. Sprinkle over batter in pan and bake in a preheated 375-degree oven and bake for 35-45 minutes. Use toothpick to test.